The Monadnock Region is located in the NH south western corner – a region of quaint New England villages and small-town charm. The entire region is named after majestic Mount Monadnock – a New Hampshire State Park and one of the most climbed mountains in the world. Visit the Monadnock Region of NH for historic inns, shopping, hiking, sight-seeing and antique hunting. Chesterfield, Acworth, Keene, Peterborough, Dublin, Jaffery, Walpole, Hillsborough, and Hinsdale are located here. Relax in a comfortable renovated Chesterfield, NH Inn farmhouse with cathedral ceilings and rambling views of the Connecticut River Valley. Located in Southern New Hampshire on the Vermont border between Brattleboro, Vermont and Keene, New Hampshire. 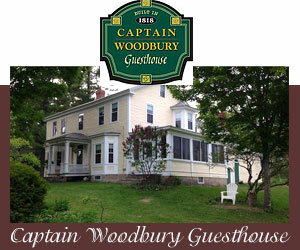 To feature your Monadnock region New Hampshire Inn or Bed and Breakfast, please contact us. Visit Keene NH and experience Keene State College, Mount Monadnock and Spofford Lake. See our Top Trip Advisor rated Monadnock NH lodging. Find NH BnB Lodging in the beautiful Monadnock region, near Keene, NH. 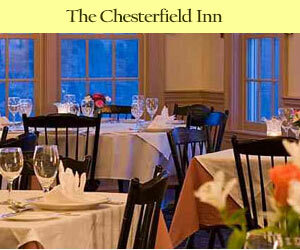 New Hampshire's Internet Magazine offers suggested Monadnock NH Inns. For more information about the NH Monadnock region visit NH Living.